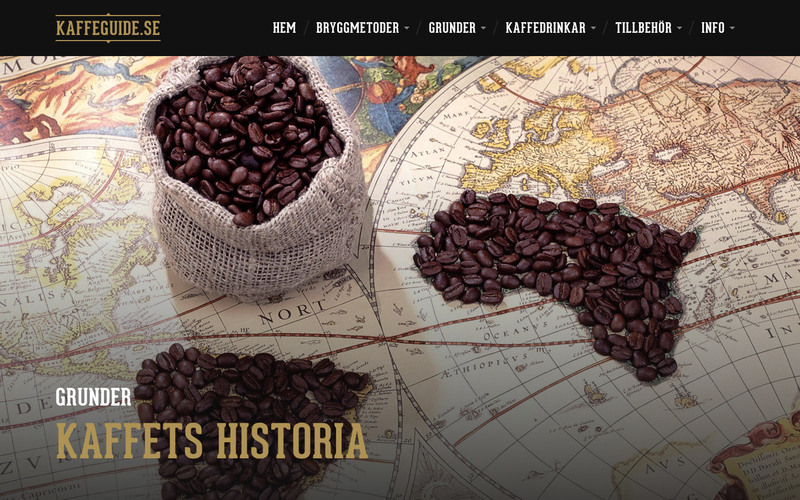 Earlier this year, when this site still was written in Swedish, I started toying with the idea of writing a blog post about how to do really great coffee. I’ve been a coffee aficionado since I bought my AeroPress last year, and when I tell people about it and encourage them to step up their coffee game, they always express their reluctance in the same ways: “It’s too hard”, or “It’s too expensive”, or “Instant coffee tastes just fine”. I thought an easy-to-follow guide might dispel some of those notions. Pretty soon, I realized that there was a lot more to say on the subject than would fit into a single blog post. I considered splitting the blog post into several parts, but I realized that at that point, I might as well make a full site out of it. So that’s what I did. The project ended up on the back burner when work got in the way, but yesterday, I finally put the finishing touches on the guides and uploaded the site. Article page for the history of coffee on Kaffeguide.se. Kaffeguide.se includes articles about the most popular brewing methods, background information about the coffee bean and its history and write-ups on the best accessories for the aspiring coffee brewer. 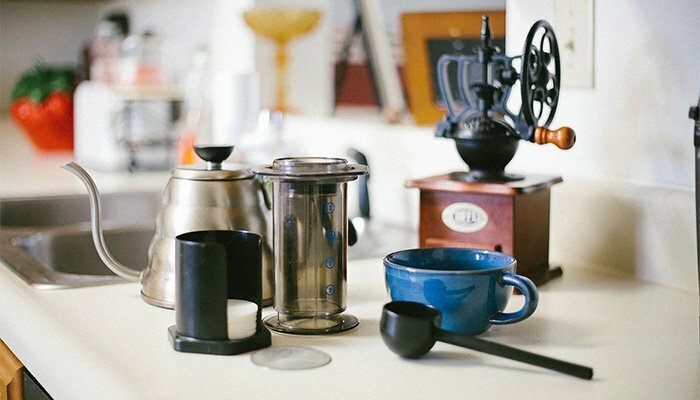 Some of the guides to brewing methods, like the AeroPress and french press, include step-by-step instructions on how to get the best cup of coffee possible. In total, the site contains around 10 000 words. I have plans for more articles and improvements to the design, but for now, I’m just really happy to get this one out of the door before the summer is over.